Lisa Daehlin teaches a PROJECT CLASS on the Lace Doily Purse at Cooper Union in NYC. Also, LACE KNITTING and CROCHET classes. 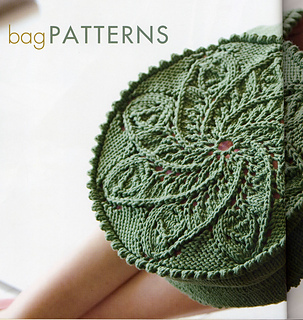 In an unusual twist on bag construction, Lisa Daehlin began with two circular doily motifs worked from the center outward to a decorative picot edge. She picked up stitches around the perimeter of the doily circles and worked a wide gusset to give the bag depth, leaving an opening at the center top for a two-way zipper closure (trimmed with I-cord). Circles cut from plastic needlepoint canvas and stitched inside a woven fabric liner help the purse keep its shape and show off the lace pattern. The short handle is knitted in a double thickness edged with picots, then knitted right into the join where the bag front and back meet the gusset.